It’s not every day that a newborn baby is stuffed inside a cardboard box, folded up and left in the gutter. Nick Santinelli steers a huge New York City street sweeper around a corner and sees the box lying just ahead. He gets out and picks it up, both surprised and shocked at what he finds inside. He brings the sleeping baby home and only blocks from his route. “Sandy!” he called out, as soon as he entered the living room. Her hair, still wet from a shower, his girlfriend sat on the couch drying it. “What are you doing home, Hon?” “Oh, nothing important…just a baby I found in the street.” She instantly stopped drying her hair, holding the still pose and replaying what she just heard inside her mind, or what she thought she just heard. No, that could not have been what he said. She turned to him with a questioning look. “What did you just say?” Sandy, his longtime girlfriend, decides they should not report anything and raise the baby themselves. She’s dying of terminal cancer and wants this one chance to be a mother. After she passes away, Nick finds a Nanny who he believes he can trust. 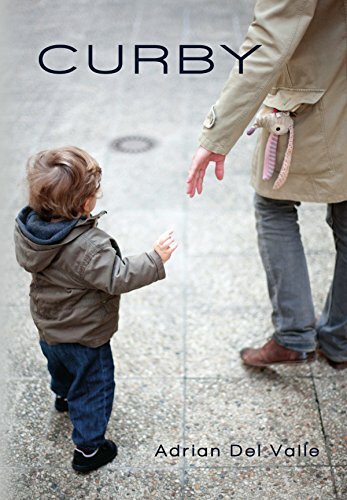 When the nanny steps out to buy cigarettes after leaving the now three year old to take his afternoon nap, Curby walks out of the apartment and becomes lost in the Brooklyn streets. Without a birth certificate, Nick can’t prove the boy is his. He battles the court and the assigned city caretakers from Children’s Services for custody of Curby where a surprise awaits everyone involved. A woman in black stares at the sea, her body transparent, eyes brimming with tears. Hoping to get a better look at the woman, psychic medium Addison Lockhart leans out over the manor&apos;s windowsill, gasping when she feels an intense pressure pressing down on her back–someone thrusting her forward. She grabs the side of the window to brace herself, but it&apos;s too late. She&apos;s already falling. 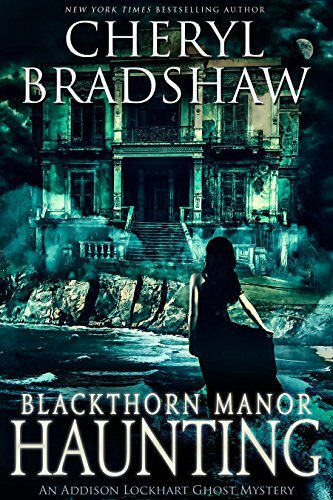 Who is the strange, melancholy woman haunting Blackthorn Manor? And why is someone out to keep Addison from unlocking the manor&apos;s darkest secrets? If you enjoy mysteries with a supernatural twist, you&apos;ll love this fast-paced, bestselling series. "Keeps you on the edge of your seat." "Read it in one night." "Surprise ending that you don&apos;t see coming." "Twists you never expect." Too bad she’s not at all aware of his rules. This book helps the reader to effectively understand all the necessary details of the USA Food Safety Modernization Act. 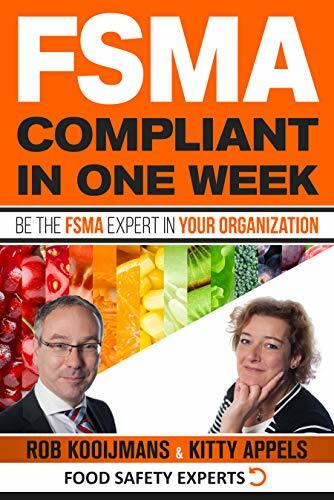 Next to giving a comprehensible overview of the requirements imposed by FSMA, the book also shows the reader how to come to effective implementation of these requirements. The book contains a wealth of useful links to on-line materials to be used during implementation. Special Agent Karen Vail “is a knockout, tough and brilliant” (Tess Gerritsen). As lead profiler for the FBI, Vail is spearheading the task force investigation into a serial killer known as “Dead Eyes,” who’s been terrorizing Fairfax County, Virginia. What separates this psychopath from the others is a peculiar savagery, and an intimate knowledge of the FBI’s detailed strategy of pursuit. What separates Vail from her peers is a life that has made her hard and uncompromising. Recently divorced from an abusive husband, and in the throes of an ugly custody battle, she’s also helpless against her mother’s struggle with Alzheimer’s. But little by little, as Vail’s personal baggage begins to consume her, the investigation threatens to derail. Now she’s weighing her last hope on a controversial profile. It suggests that the one key to solving the case lies with the seventh victim. But that key will also unlock secrets that could destroy Vail’s career, and expose a truth that even she might not be strong enough to survive. 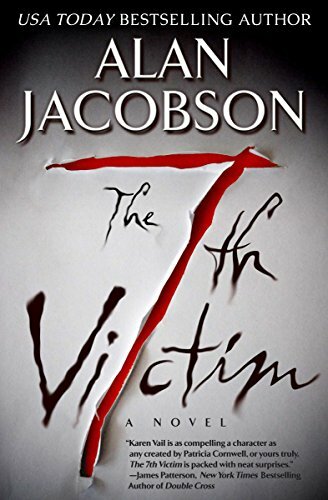 In compiling his research for The 7th Victim, Alan Jacobson was allowed wide-ranging access to the FBI’s behavioral profiling unit over several years. Named one of the top five books of the year by Library Journal, it’s “a quantum leap in terror and suspense . . . A masterpiece” (New York Times–bestselling author James Rollins). 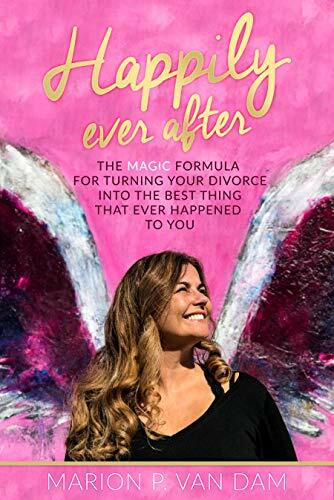 If you are going through a divorce, you probably wish you had a magic wand to make it all go away–the sadness, anger, grief, and sense of failure, the bitterness of losing love you believed would last a lifetime. Me, Myself and I–Follow your own life’s path. Accept–Open yourself to go with the flow. Grow–Grab every chance to say “yes!” Immerse yourself in new experiences. Intuition–Tune in to your intuition–your direct connection with the universe. Former soldier Harper Knox is done with battle. He’s moved home to his farm in eastern Washington, hoping life among the vines will conquer his PTSD. 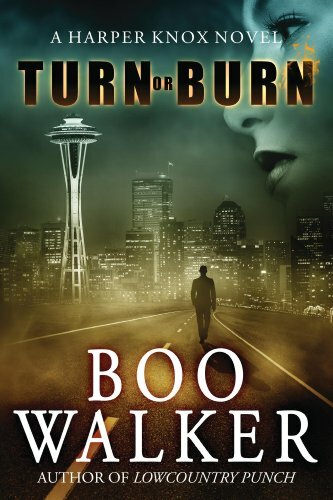 But when an old friend offers Harper a generous payday if he’ll join a security detail in Seattle, Harper finds he’s too hungry for the cash–and the danger–to say no. The job: protect a scientist at the controversial Singularity Summit, a conference celebrating artificial intelligence. When things go horribly wrong and two people end up dead, Harper and Italian mercenary Francesca Daly take down the perpetrators but are left with nothing but questions. Who were the two criminals, both women? What does the symbol branded onto their bodies mean? And why did one woman have a note in her pocket that read “Forgive me?” As Harper and Francesca dig deeper–and fall deeper in love–the truth leads them to a shocking discovery…and right into a deadly trap. A rapid-fire thriller with suspenseful twists you won’t see coming, Turn or Burn will hook you from the first page to the last into a world where belief, technology, and scientific intrigue collide…and nothing is what it seems. Whether you read books like Ready Player One or the next Dan Brown, you’ll feel right at home. I am Jean Dorff, and was sexual abused from the age of 7 by close family members. As young as I was, I knew that something terribly wrong was done to me. I became very inwards focused and started to create walls around me that only a few could see and come through. On the outside, I appeared to be a happy and joyous child but on the inside I was afraid, I was angry and felt pain physical and emotional. I developed a shame about myself and my sexuality and I hated my abusers. I hated the world I lived in. At the age of 17 I felt so much hate that I didn’t wanted to go on. My life started to fall apart and I could have easily chosen a path of self-destruction, something that some of my siblings did dealing with the same stuff, but I did not. I found forgiveness, although I don’t even know how, I believe it was Devine Intervention. I concentrated myself on martial arts and solving the mysteries of the ‘Why’ of life. I would love to tell you that from this point all problems were over, but I think you already know that that was not the case. So often I got overwhelmed by the memories of my abuse, triggered by simple daily events. I struggled to keep intimate relationships or being intimate all together. I escaped in work, social media, sports and travel. I tried to escape from everything. Running away was sometimes the only way for me to deal with normal life. I so often neglected the people around me including my own family. I even had fear that, I as an abuse victim, I would become an abuser myself. This circle of shame, fear, loneliness and mistrust had to be broken. It simply had to, If not for me then for my family. I discovered a passion for dance. It kept me sane and perhaps even made me sane in the end. I felt most alive when I danced and I still do. For years now, I am healed, healed from the sexual abuse, but may be more so healed from the aftermath. The memories and scars are still there and I sometimes wish they were gone too, but then again, they remind me that I was victorious in my battle, that I found my inner strength and passion. I now live a thriving life on the terms I want. I started to walk back on the path of abuse and felt that I could help people who were still on that path. My life experiences, my training as martial artist, dance teacher and coach equipped me to help other sexual abuse victims to move forward away from that path, onto a new path of light, empowerment, healing and joy. A path on which they can walk confidently in a body that feels comfortable again, with a mind that is confident to take on new challenges and opportunities. And when the flashback of the abuse get triggered and want to pull them back on that dark path, then I support them how to cope with that too. I hope that the scars of what I’ve been through become the healing of others.